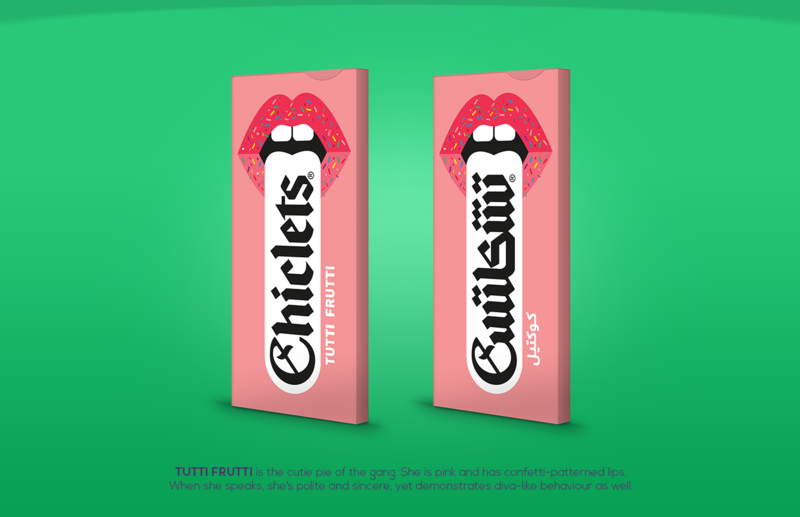 Chiclets, the candy-coated gum brought to us by the Cadbury company, brings back such great memories and flavors of my youth so when I stumbled upon this latest work for Chiclet by Cairo based Amro Thabit I just had to share. Introduced in 1900, this iconic gum is still distributed in limited supply across the globe. We’re hoping Amro’s work puts the brand back on the map in a bigger way for today’s youth to appreciate. Scoop more on the project and corresponding work below. 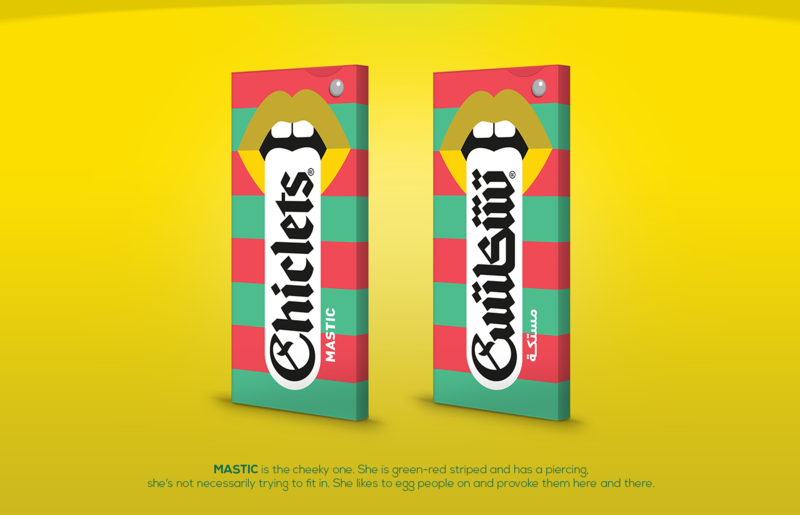 CHICLETS, NEVER GETS OLD! 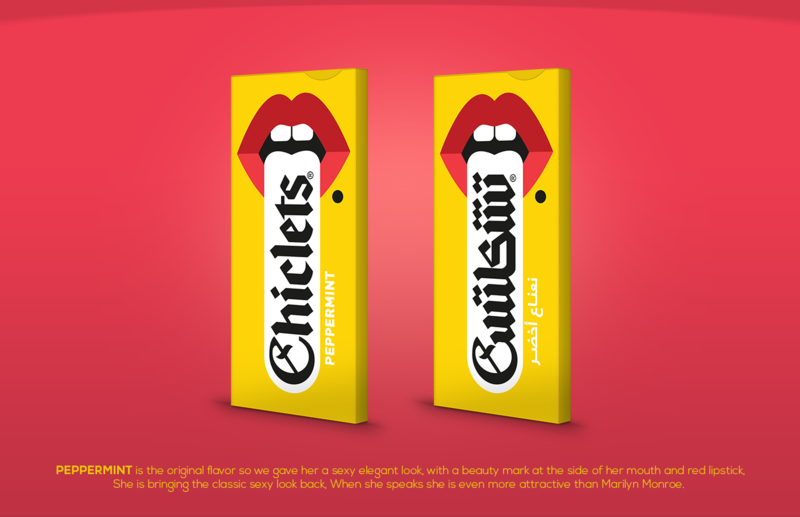 chiclets has always had a place on every shelf; here, there & everywhere. 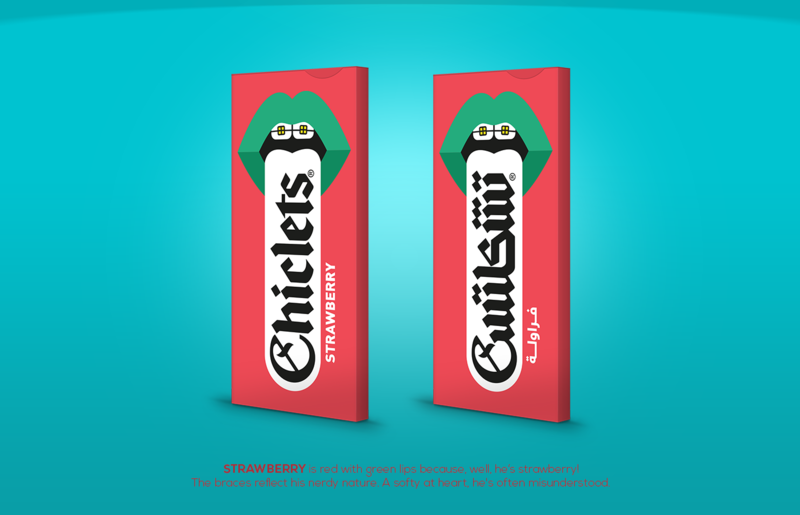 the true definition of an all-time classic.. chiclets decided to embrace a young spirit sticking to its old soul. now targeting the younger generation, a more vibrant package design was born. 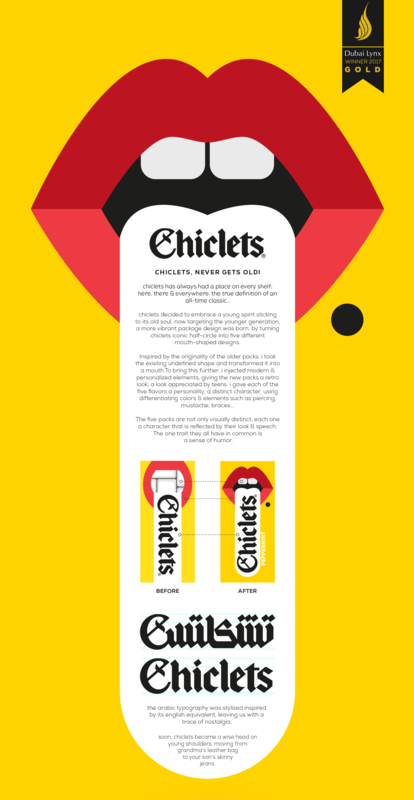 by turning chiclets iconic half-circle into five different mouth-shaped designs. 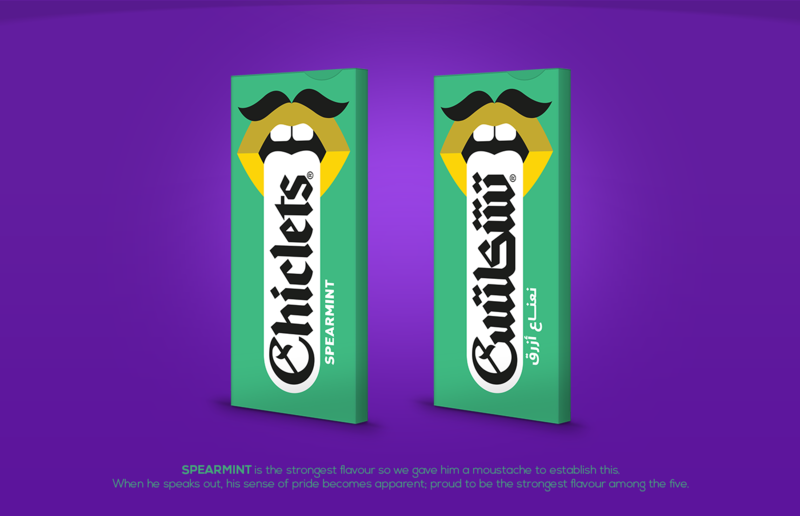 Inspired by the originality of the older packs, i took the existing undefined shape and transformed it into a mouth.To bring this further, i injected modern & personalized elements, giving the new packs a retro look; a look appreciated by teens. 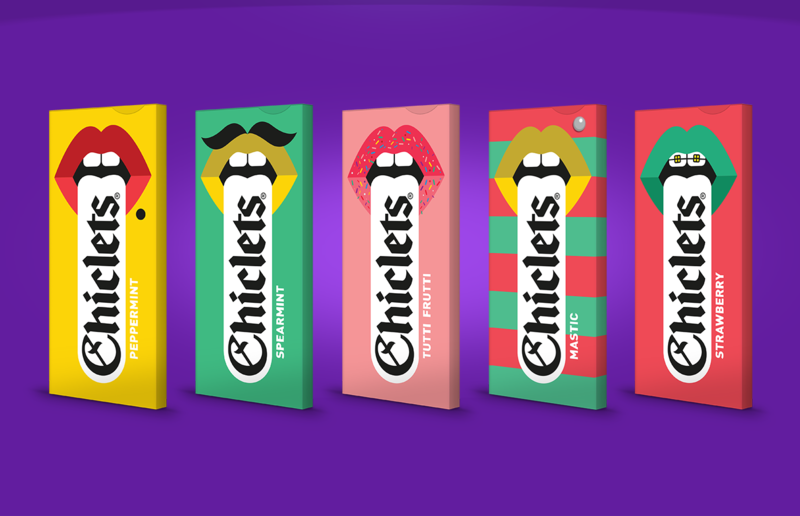 i gave each of the five flavors a personality, a distinct character, using differentiating colors & elements such as piercing, mustache, braces… The five packs are not only visually distinct; each one a character that is reflected by their look & speech. The one trait they all have in common is a sense of humor.